Nineteen Benedictine sisters from three Federations and the Congregation of Missionary Benedictine Sisters gathered at St. Walburga Monastery in Elizabeth, NJ to be trained as facilitators for election of monastic leaders (prioresses). 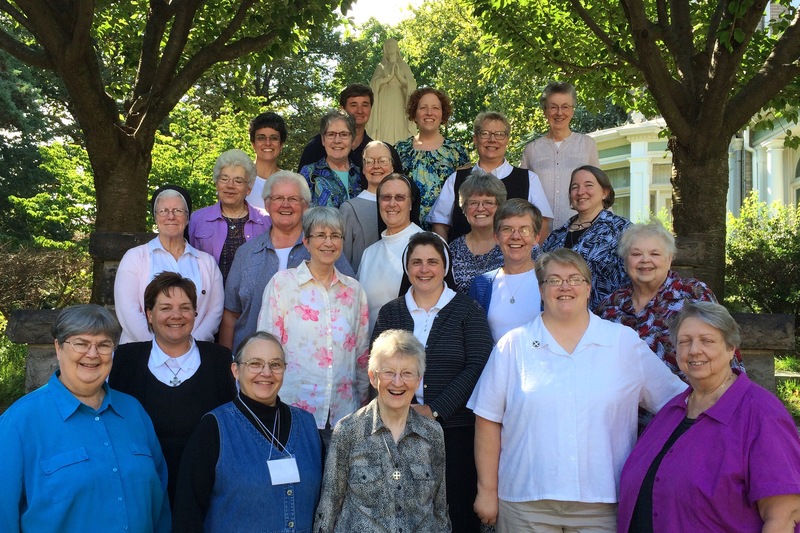 Three experienced facilitators – Sr Cecilia Dwyer (St Benedict Monastery, Bristow VA), Sr Mary Catherine Wenstrup (St Walburg Monastery, Covington KY), and Sr Joella Kidwell (Monastery Immaculate Conception, Ferdinand IN) – organized the three days of training. The participants studied – in detail -the document Discernment and Election of a Prioress in the Benedictine Tradition, revised by the Conference of Benedictine Prioresses in 2016, as well the theology and philosophy of discernment. They raised many practical questions, and discussed unusual situations and issues. The leaders shared dozens of ideas, stories and tips for organizing and carrying out the facilitation process and coordinating with Federation Presidents. They also suggested next steps so these sisters can gain experience in facilitation. The workshop was organized and sponsored by the Conference of Benedictine Prioresses who recognized the need to enlarge the pool of trained and experienced facilitators. Five sisters from the Federation of St Benedict participated in the workshop: President Kerry O’Reilly, two members of the Federation Council (Sisters Lisa Mauree and Edith Bogue), and Sisters Linda Soler (St Paul’s Monastery) and Sister Sharon Nohner (St Benedict’s Monastery, St. Joseph, MN).